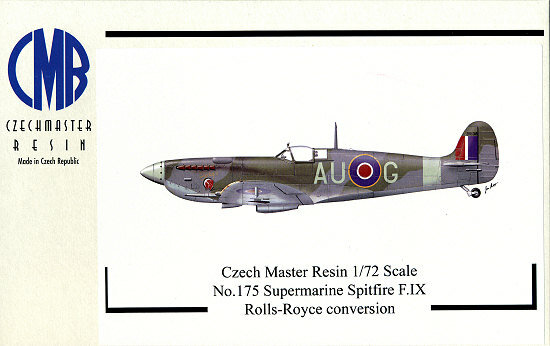 The biggest improvement in the Spitfire was the installation of the Merlin 60 series of engines. Not only did this greatly improve the performance of the aircraft, the additional length of the engine added to the look of the aircraft, making seem even sleeker than the older versions. Yeah, a bit of personal perception here, but a lot of folks agree with me. It was also an aircraft that took the RAF from the middle to the end of the war. While Griffon engined versions were making their way into service by late 1944, it was the Mk IX and nearly identical Mk XVI that bore the brunt of RAF fighter ops. Initially, these planes were built using Mk V airframes that had been sent in for overhaul, some of those airframes being upgraded from Mk I and Mk II aircraft. Few realize just how many of the planes built by both Britain and by Germany were rebuilds, something that the US never had to do as they had the resources to do everything from scratch. The result of this is that the Spit IX/XVI story is as convoluted as the myriad of later 109G variants. Anyway, the Spit IX could well be considered the best of the batch in terms of numbers produced and numbers exported as well. Many countries used this version in the post-war period as parts were plentiful and the aircraft relatively inexpensive. CMR has been on a mission to produce every variant of the Merlin 60 Spit that they can and this boxing of the 'very early' Mk IX, represents those planes that were built from Mk V airframes. Some of the telling clues would be smaller rudders and the smaller elevators without the additional 'kink' on the outer fringe that gave the additional elevator area without changing the size of the horizontal stab. There is also a bulge on the upper aft cowling that doesn't seem to be on any of the later builds. I'm not sure what that is for as my Spit knowledge is lacking for this. 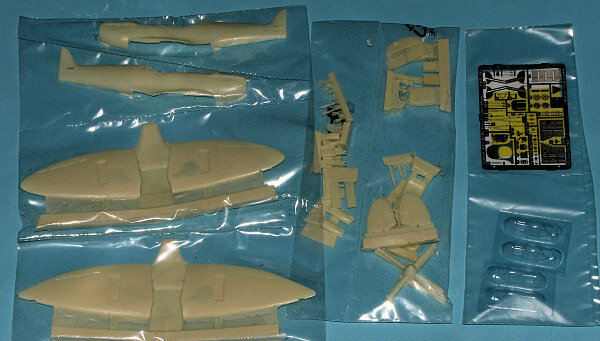 The rest of the kit is pretty much like on all the other CMR Spitfires and it includes two wings, one an HF version for the few high altitude IXs built from the very early airframe. There are three wing inserts provided for a broad gun bulge, a narrow one and one that has none at all. There are no reinforcements or wheel bulge present on the wing upper surface. There are two sets of canopy provided as well, with one a lot more flat than the other, though there is no indication of which markings option gets which. You also get either a complete prop and spinner or can do the separate blade route. Multiple gun options are provided as well in terms of stubs. As with previous issues, you get a set of canopy masks and an Eduard full color etched fret for the interior and other bits. A very nice inclusion. In fact, it pretty well eliminates the need for any aftermarket bits as it is all here. Instructions are superbly done with three pages of construction diagrams and five of markings guide and placement, one of which is a full stencil placement guide. 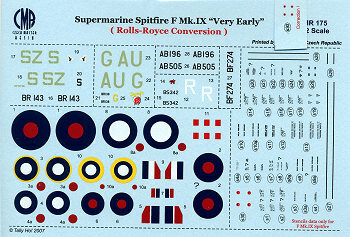 The superbly printed Tally Ho decal sheet has markings for six aircraft. One is from 316 Sq (Polish), another from 421 Sq (Canadian), two rather generic initial conversion aircraft with large yellow surround fuselage decals, as well as one used for trials. The long winged aircraft was with 233 Sq at Port Said in 1942 and painted in Medium Sea Grey over BRU Blue. This one also has a larger sand filter that is included in the kit. Yet another beauty from CMR. Spit fans should be quite pleased that we now have an accurate very early Spit IX for people to add to their growing collections.